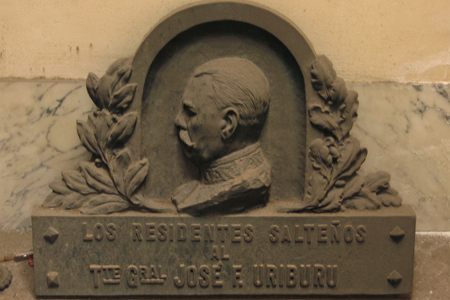 After becoming President in 1886, Miguel Juárez Celman began to distance himself from political supporters & preferred to do things his own way. 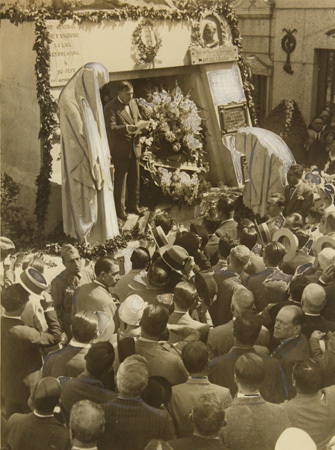 Concentrating power in his own hands, the public referred to the term of Juárez Celman as a unicato… a one-man rule. After three years in office & with inflation out of control, diverse groups expressed their discontent with Juárez Celman. 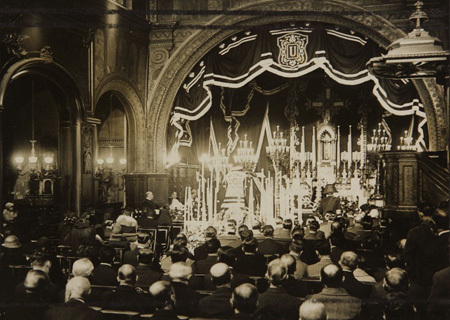 Upper class families, members of the clergy, university leaders, senators & the emerging middle class joined forces to form the Unión Cívica. 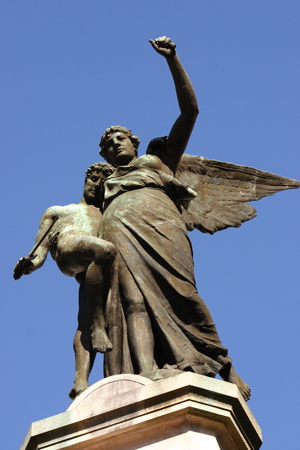 Their main goal was to defeat the Juárez Celman in upcoming elections. But at the same time, preparations were being made for a coup d’etat. From his cell, Campos sent word to Alem to go ahead with their plans & fighting broke out early on 26 July 1890. 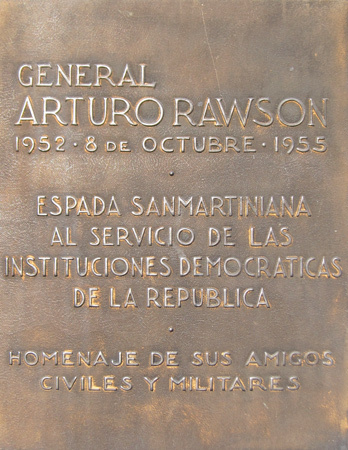 Government forces used Retiro as their base of operations while Alem’s men were concentrated in Plaza Lavalle, now home of the Supreme Court. 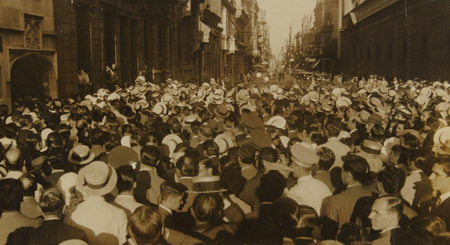 As civilians rose up in arms to oust Juárez Celman, battles took place in the heart of Buenos Aires. Fighting continued sporadically for the next few days. General Campos made obvious military mistakes & gave the government ample time to recover & fight back. Alem noted these irregularities at the time but given the difficult situation, deferred to the general’s orders. Violence ended four days later with a truce. Estimates of those killed or wounded range from 300 to over 1,000. While the revolution was not successful in overthrowing the government, the political landscape quickly changed afterwards. 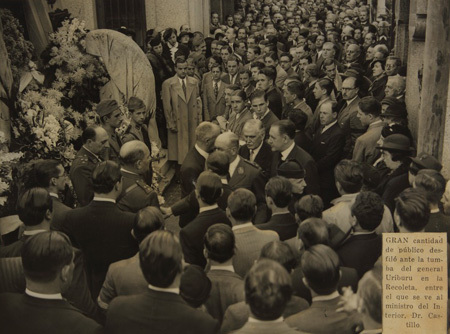 Juárez Celman lost support due to the conflict & resigned, handing the government to Vice-President Carlos Pellegrini. Although no historical record exists of conversations between Campos & Roca, it is taken for fact that Campos made bad tactical decisions on purpose. 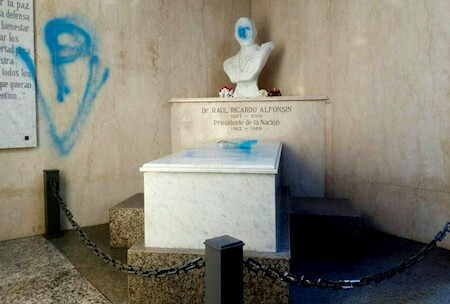 He threw the revolution so Roca & his elite allies could remain in power. 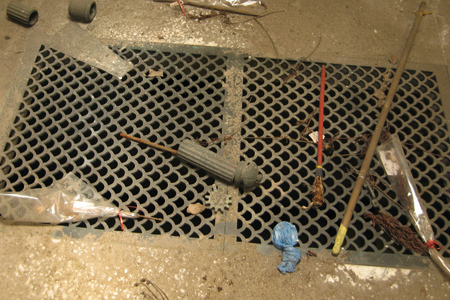 The UC also had difficult times afterwards & split into two groups. 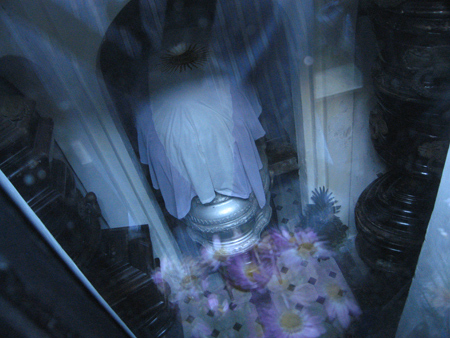 One year later the Alem faction transformed into the UCR–Unión Cívica Radical. 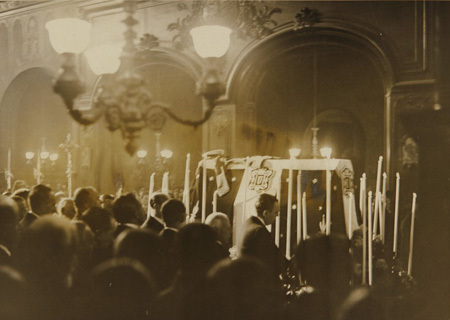 The UCR still plays an important role in politics as the main alternative to the Peronist party. 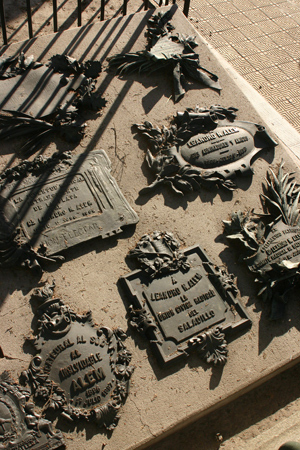 Numerous plaques cover the base of the entire pantheon, housing a few of the fallen during the revolution but many important figures from the UCR: party founder Leandro Alem, President Hipólito Yrigoyen (top casket with flag), & President Arturo Illia (silver casket). 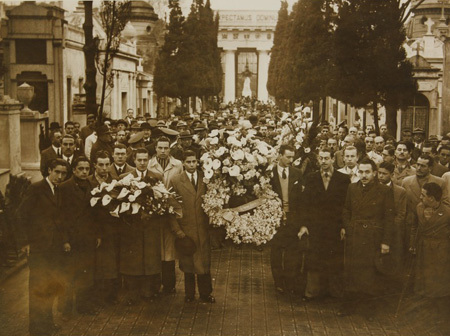 During the term of President Frondizi, this tomb was declared a National Historic Monument… even President Alfonsín spent a few months here until his own tomb was under construction. 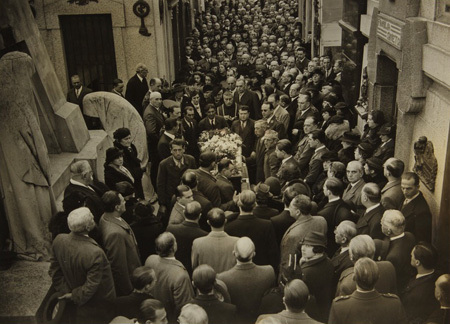 All subplots & internal division aside, strong civilian support of the attempted revolution marked the beginning of civil society in Argentina & the birth of a radical political party. 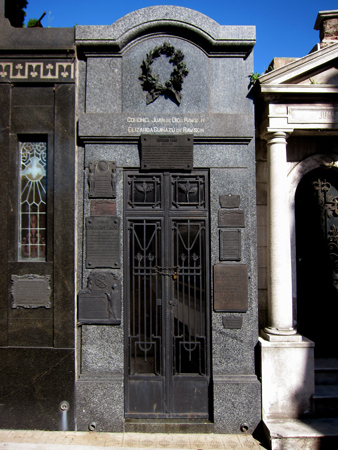 Every major figure on both sides of the Revolución de 1890 can be found somewhere in Recoleta Cemetery. 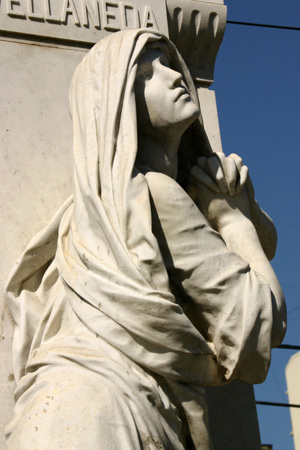 Born in San Miguel de Tucumán in 1837, young Nicolás had to cope with the death of his father, Marco Avellaneda, around the time of his fourth birthday. 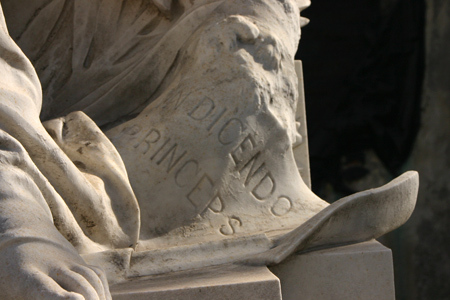 For opposing Rosas, Marco’s severed head was placed on a pike in the main square as an example to all. The family immediately moved to Bolivia. 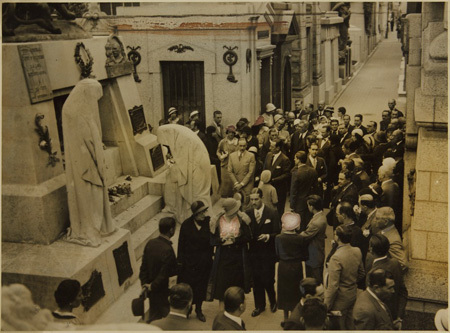 Nicolás eventually returned to Argentina to study law & became a well-known journalist. 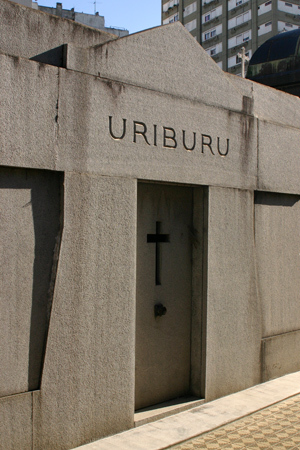 His political career began in 1859—at the age of 22—after being elected to serve in Congress. 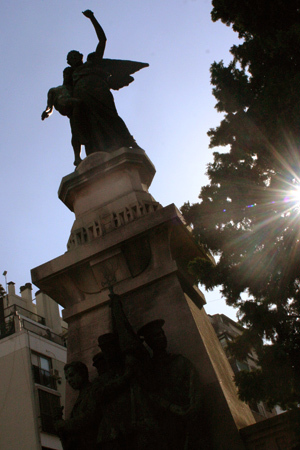 During the presidency of Domingo Faustino Sarmiento, Avellaneda served as Ministro de Justicia, Culto e Instrucción Pública & helped create free, public education in Argentina. 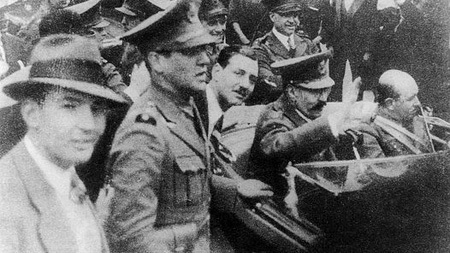 At the end of Sarmiento’s term, Avellaneda was elected President. 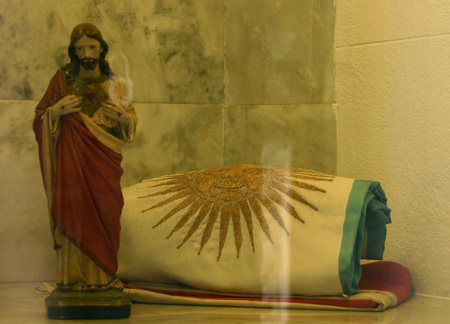 His main rival, Bartolomé Mitre, claimed electoral fraud & found military support… but Avellaneda quickly ended the rebellion & even pardoned Mitre in order to ease political tension. 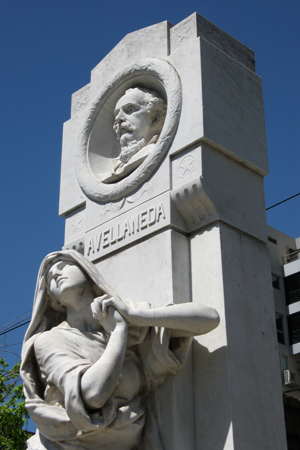 Avellaneda got to work quickly, getting approval of an immigration law which attracted millions of Europeans to Argentina & changed the country’s identity forever. 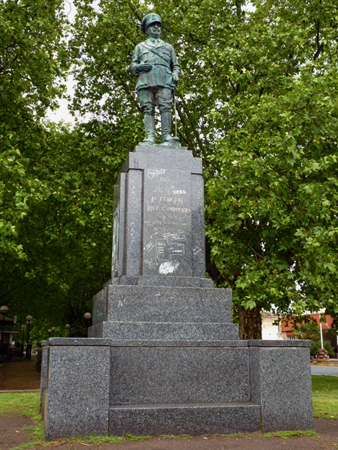 He also attempted to balance the budget & appointed Julio Argentino Roca to “conquer” the desert lands of Patagonia. 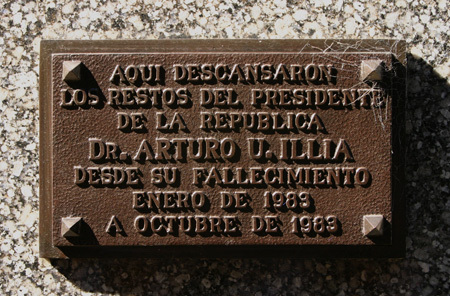 Avellaneda even tackled one of the biggest issues in Argentine history: the federalization of Buenos Aires. It caused another rebellion lead by Carlos Tejedor, forcing the President to abandon BA & move the national government to Belgrano. 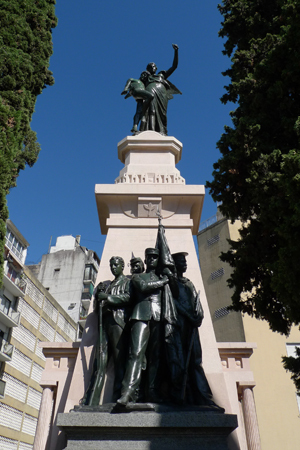 But Roca eventually defeated Tejedor & by the end of Avellaneda’s term in 1880, Buenos Aires became once & for all the capital of Argentina. 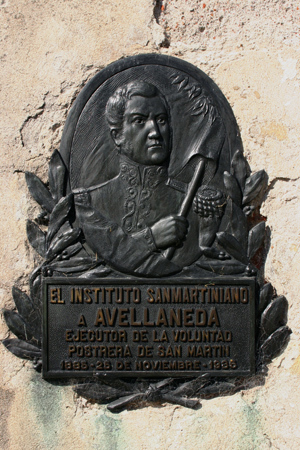 Avellaneda remained in politics, serving as Senator for his native province & establishing autonomy for all national universities. 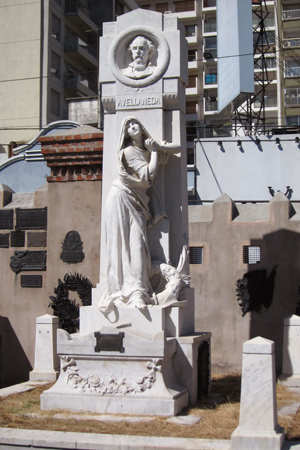 He & his wife traveled to Europe in 1885, hoping to find a cure for his kidney problems, but Avellaneda passed away on the boat trip back to Argentina at the age of 48. 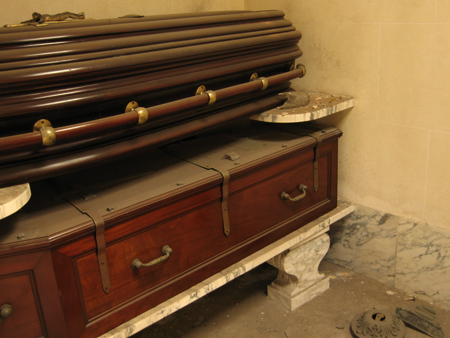 He accomplished a lot during his lifetime, including fathering 12 children!